Thank you for participating in Global Test March 2019! The rare thing to find on this slide were the presence of Immunoglobulin crystals and the classification challenge were the lymphocytes. We saw a wide spread of classification between Abnormal lymphocytes, Reactive lymphocytes and Variant lymphocytes. How does your lab classify lymphocytes that contains immunoglobulin crystals? Let’s take a closer look at some cells that received different classifications. The first cell was classified as an Abnormal Lymphocyte by the examiner. 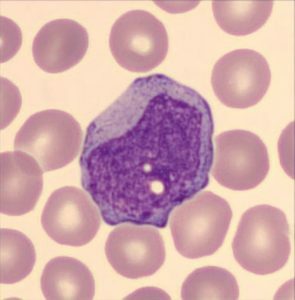 The majority of the participants had classified the cell as a Lymphocyte. The second interesting cell that we could see in this test was also classified as an Abnormal Lymphocyte by the Examiner and which many of the participants agreed with. However, two other classes were also represented for this cell, Reactive Lymphocyte and Lymphocyte. How would your lab classify this cell? 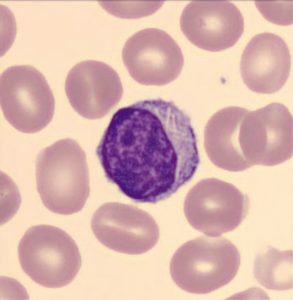 On the third cell we have chosen to highlight that the majority had classified the cell as a Monocyte while the Examiner had classified it as a Abnormal Lymphocyte. What reasons do you see for this difference in classification? 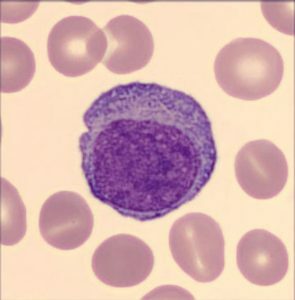 Image 3 Abnormal Lymphocyte or Monocyte? For the fourth cell the classification between Examiner and the majority of participants agreed on lymphocyte. For these types of cells, we could see that comments were made such as “Crystal present”, “Crystals in cytoplasm”, “IgM Crystal”, “Immunoglobulin crystal”. Would your lab comment on these types of cells and what type of comment would it be? 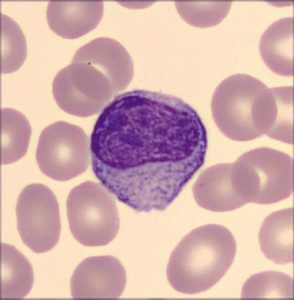 This was a case that caused quite a lot of difference in classification between the participants and the Examiner and it highlights the difficulties in Blood Cell Morphology. We do hope that it has raised a discussion in your lab regarding how to classify these types of cells. Do you put them in a specific cell class or do you make a comment regarding the abnormality? There have been some questions from participants regarding how to classify the cells in our global test. CellaVision wants you to classify according to your labs guidelines and recommendations. The goal with CellaVision Global Test is, with your help, to create a discussion around blood cell morphology and the differences and difficulties regarding classification.